The client lies prone, on a soft warm table, in a comfortably lit room. The practitioner asks permission to begin, and places her hands in passive touch on the client’s back, ever so gently and thoughtfully. There is the breath, one, and then another. With each exhale, the client softens into the practitioner’s hands, which remain stable on the back, vibrant with her own breath and energy, receptive to the minute changes in the client’s response. The practitioner may acknowledge verbally, “I feel the work your body is doing here. The great work of holding yourself up.” The response from the client may be varied, but often, deeper breathing, a sigh, a gasp at being acknowledged in this way. Perhaps tears. Perhaps words: “I work so hard. I carry so much. I’m tired…” In this practice, the tone is caring, but not overwhelmingly so. The practitioner exhibits a genuine care, one that’s not coming from their ego in their role as care-taker or fixer, but from their commitment to just being, being-with the client, not only “holding space” to repeat an overused phrase, but “holding” the client. The energy is warm, comforting. The talk is quiet, slow, low in tone. The dynamic is set for being held and supported, and often, the client is able to let go and melt into that opportunity. They find themselves able to take deeper breaths. They may be able to release muscular tension which they have unconsciously molded into a character armor over the years. The invitation to bring awareness to it is often the first step to allowing oneself to release it, and to notice what it feels like to experience that release in the body. Clients may feel that to have attention drawn to their body’s work, their breath, their struggle and their strength, can be extremely cathartic. Perhaps they have not experienced this since they were held in their mother’s arms. Perhaps they have never experienced this. Either way, it is needed. The client may not know it is needed until it is experienced. The Rosen Method, as this practice is called, evolved through the work of Marion Rosen, (1914-2012), a German-American physiotherapist. Marion grew up in Germany in the tumultuous 1920s. She was a dancer and loved movement. After an accident, her mother was treated by Lucy Heyer, a massage therapist, who was married to Dr. Heyer, a psychologist and colleague of Carl Jung. In their healing community, they became aware that patients in psychoanalysis were able to access their subconscious more readily when they received “breath massage” from Lucy and Marion, and their analytic processes progressed more quickly. Of Jewish heritage, Marion had to flee Germany at the start of World War II. She came to California and worked as a physical therapist in medical settings and in private practice. As she worked with clients, she developed a movement practice for her clients to engage in to extend the benefits of the physical therapy work. In the 1950s, Marion began to teach the movement classes to members of the community, as well as her patients and other practitioners. In her years of practice, Marion developed an awareness that patients who spoke about their emotions seemed to progress through physical healing more quickly and came back less often, with fewer complaints. By the 1970s, Marion had developed a curriculum for teaching her method of working with breath, bodywork, and movement, and the Rosen Institute was formed. Marion trained practitioners in her method and created a process for them to become trainers of others, so the Rosen Method could be learned and shared around the world. In May 2018, Pacific College of Oriental Medicine’s NY Campus hosted a gathering of five experienced practitioners of Rosen Method Bodywork and Movement for an introductory workshop. Those in attendance included Heather Brown, LMT; Elizabeth Smith, RN; Louise Murray, LMT CPC; Ivy Green, LMT; and Adrienne Stone, PT. Each shared a different aspect of the practice with students, faculty, and staff. Louise Murray introduced the group and defined the Rosen Method. Heather Brown spoke about Marion’s personal path and development of the method through her work in Europe and California. Elizabeth Smith expanded on how the Rosen Method can be used in various practice settings, including from her own experience in hospice care and medical settings, as well as private massage and PT practice environments. Adrienne Stone led the group in a Rosen Method movement exercise. Ivy Green asked for a participant from the group and demonstrated the hands-on components of Rosen Method, interacting with the recipient through touch and talk, but also relaying what she was sensing in reaction from the client to the others in the room. Even in this context, with all eyes on her, the recipient felt a transformational shift of her posture and accessed the emotions she was holding in her upper body as Ivy worked with her upright in a chair. Afterwards, the participants asked many questions about aspects of the Rosen Method, the experiences with clients, the training requirements, and other queries. Words of wisdom were shared by the seasoned practitioners who have each worked with the Rosen Method for significant periods of time in various settings. Acupuncturists, nurses, and massage therapists are eligible to train in the Rosen Method as they all have “license to touch” within their scopes of practice. However, even if one does not decide to pursue the entirety of this training, we can all glean some important elements of this practice to take into our work in various ways. There are many places where the Rosen Method overlaps with Eastern theoretical and practical approaches, as there is a significant energetic component to the Rosen Method work. For example, the practitioner could incorporate some unstructured movement into their getting-prepared moments before working with clients, or suggest the same for client’s self-care. 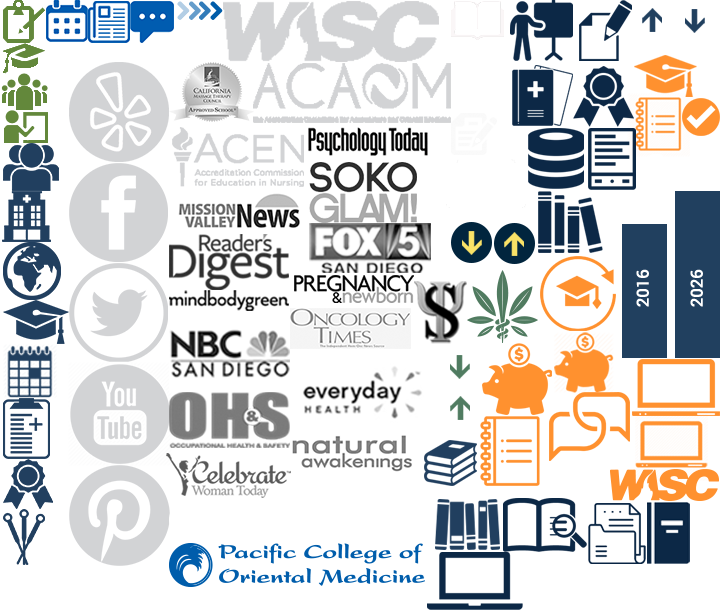 Practitioners can all benefit from, when possible, slowing down the process of the interaction with clients, especially in New York City, where we are operating at warp-speed much of the time. We can all benefit from better awareness and listening. We may begin, end, or bookend a session with the passive touch, holding without movement, so our clients can tune in to their own holding patterns and rhythms. If emotional release happens, we can be present for it, and we can always be ready to refer our clients to other practitioners when what comes up falls outside of our scope of treatment. It is not outside of our scope to acknowledge the hard work of living that our clients are doing, and call their attention to the effects of that work on their body. We can also acknowledge the joy that comes from relief. We can all benefit from fostering a caring presence to expand the benefits of treatment for our clients, and renew the joy of connection with other humans, as this is what probably drew Marion, and us, into our work in the first place. 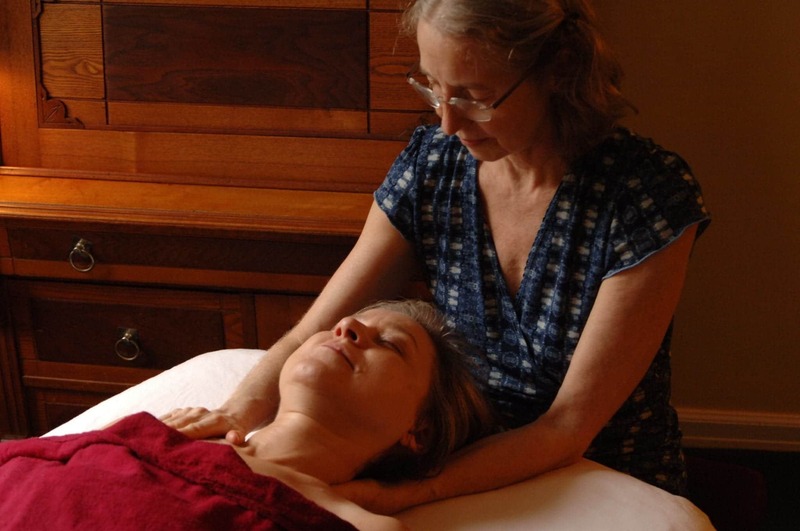 Kiera Nagle, MA, LMT has been practicing massage therapy and reiki for over a decade. She has worked in integrative settings such as the University of Nebraska Medical Center, providing massage therapy to patients at the Olson Center for Women’s Health. She teaches massage therapy at CUNY-Queensborough Community College, and supervises massage interns treating high risk antepartum patients at Northwell – Katz’ Women’s Hospital. Kiera is also full-time faculty and clinical supervisor at Pacific College of Oriental Medicine NY, where she serves as the Director of the Asian Holistic Health and Massage Therapy Program. She is the creator of MaMassage®, a curriculum for Prenatal, Labor and Postpartum Massage Therapy Continuing Education training. Kiera’s private practice, Meridian Massage NYC, focuses on Women’s Health and trauma-informed care. Kiera is also a DONA-trained Birth Doula.